Editorial Assistant and the Weekend Editor of the Roar TV. Former promising junior left arm pace bowler turned professional couch enthusiast. Spends way too much time paying way too much attention to the Essendon Football Club, the Australian Cricket Team and the Seattle Seahawks. 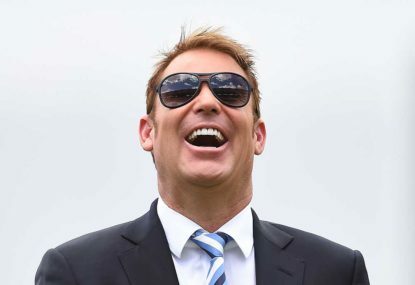 Revered cricket commentator Jim Maxwell has criticised Shane Warne over his commentary during Fox Sports’ coverage of the Melbourne Renegades semi-final win over the Sydney Sixers. 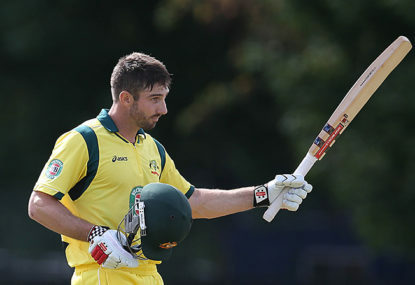 The Australian one-day international team will be without Shaun Marsh for the opening match of the home summer against South Africa, after the left-hander was revealed to need “minor surgery”. 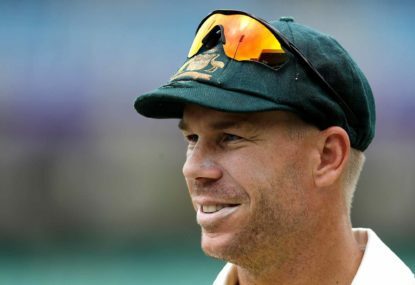 Suspended Australian batsman David Warner was at the centre of a perplexing sequence of events during a Sydney Premier Cricket match. 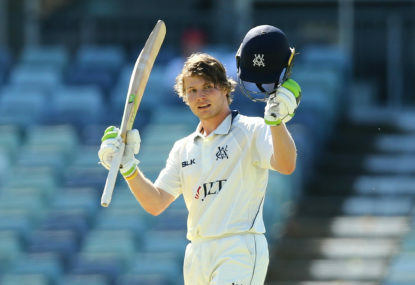 Less than a fortnight after notching up a double-century for Victoria, it has been announced young batting star Will Pucovski will spend an indefinite period away from the game. 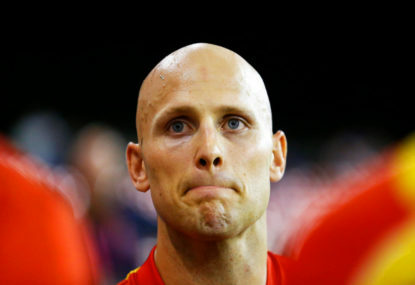 Sunsetting: What can Ablett get out of 2017? 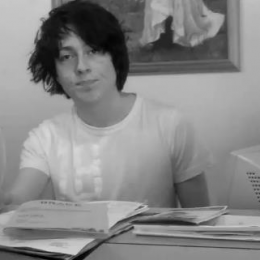 Gary Ablett Jr used to have it all. Premierships, the undisputed title of the game’s best player, and hair. Who will win this year's Rising Star? 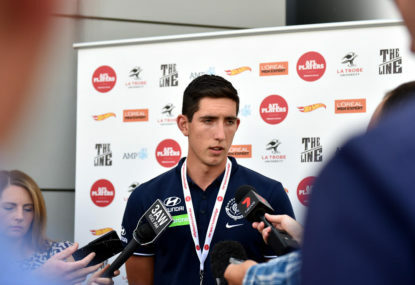 In exactly the sort of situation that Coldplay would love, this year’s race to be the AFL’s Rising Star isn’t down to just one or two, but a Sky Full of Stars. For draft prospects all over the country, it’s an exciting time ahead of the first round of the AFL’s division one national under-18s championships this weekend. This would certainly be ideal. You make good points. But the way I see it, trade currency becomes relevant if the Suns stick to the course they have been on at the trade table since they first arrived. They have often been difficult. To me, Ablett getting to the Cats all hinges on the Suns. While they appear to be moving on from Ablett in many respects, he is still a player whom is contracted, and they are reportedly due to pay $1 million in 2018. The Suns probably don’t need to free up a heap of cash for next season, given they’ve lost two players who would have been reasonably well paid, and the main player left to re-sign is Steven May. The Sam Mitchell thing is different if you consider that the Hawks were reportedly the ones who instigated things. A few things would have to change if Ablett was to get to the Cats. A good season from Ablett, even if he does spend more time up forward, could make things more difficult too. Compared to previous years, there’s a lot of guys this year who you could make a strong case for. Blakely’s last six games have been really strong, and if he can continue along those lines then he’ll definitely move up towards the top of the ranks. As you say, the headstart he gave might hurt him a bit, but it also might help him through the second half of the season as some other young players will no doubt start to tire. Thanks mate. Something happened in editing, but it seems to be all sorted now. I like Blakely’s chances a little more than Weller’s. So far, Blakely seems to have been given more midfield time and as such is getting a lot more chances to shine. Weller seems to have been playing a bit more up forward and is as a result getting a little less of it, understandably drifting in and out of games. 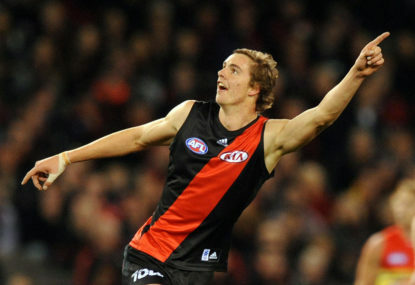 Although his performance against Brisbane the other week was brilliant. Either way, Freo should be pretty happy because they’ve picked up two guys who are going to add a fair bit to their midfield over the coming years. Sicily has completely surprised me with how effective he has been at AFL level so quickly. His impact has been pretty damn good so far, and two of his best games have come against quality opposition in the Bulldogs and Kangaroos. Daniel was a top 20 talent in his draft, but as is generally the way, slid down the order because of his height. You’re absolutely right about him. He’s fantastic and the ball is always safe when its in his hands. Not sure what’s happened there at all mate. There’s been a few issues this morning but hopefully they’re all sorted now. Needless to say, the blues would be very happy if Petracca and Daniel were both playing for them. “The Happening” is all I can ever think of whenever I see Wahlberg now; my brain is a lot better at repressing the lower moments in Ferrell’s career (I’m teeing you up for a good retort there). I was a big of fan of Scharenberg at last year’s champs, and yeah, if he keep a long the rate of development he was on last year, I agree that he’ll be a top 20 odd draftee. 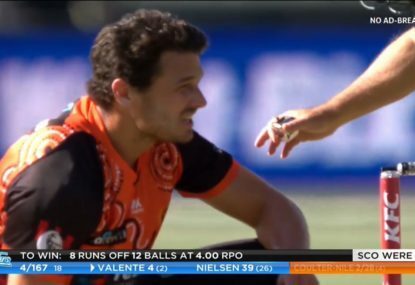 My article was just highlighting 5 players that I like that I haven’t seen much media about despite that, in the case of Scharenberg, Gallucci and Powell-Pepper, I think they’re capable of being drafted in the first round somewhere, and in the case of Blair and Fowler, I think they’re both good enough to be drafted. Queensland have some good prospects this year, with Brisbane academy player Jacob Allison and Gold Coast academy players Jack Bowes and Brad Scheer among those likely to be taken relatively early. Elliott Himmelberg is a key-position player that with a good championships in division one could come into contention in the first couple of rounds too. All these guys will play for the Allies team this month.